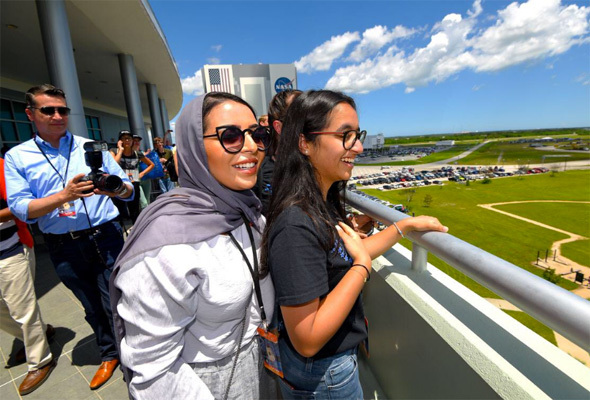 The winner of the Genes in Space UAE competition, Alia Al Mansoori, watched her experiment launch into space yesterday. The 15-year-old aspiring astronaut beat 109 entries to take home first place at the Genes in Space UAE competition earlier this year. And as part of the prize, she travelled to NASA’s Kennedy Space Center to witness her experiment take off on the Space X Falcon 9 rocket. Her winning proposal studies how exposure to space affects the health of live organisms at cellular level. Seriously impressive, we’d say. Al Mansouri’s experiment will now be conducted in real life. Focusing on heat protecting proteins produced by the body, the experiment aims to determine whether these ‘heat shock’ proteins are still produced in space. The samples will then be returned to earth at a later date for evaluation. 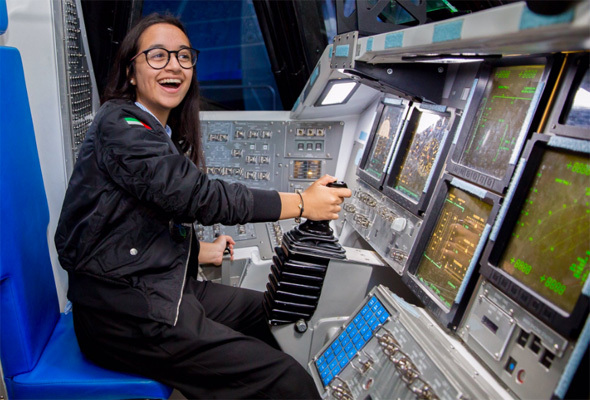 “I want to be an astronaut when I grow up, so it’s amazing that I get to see actual astronauts doing my experiment in space,” said Alia in an interview with Amanda Griffin of NASA communications. And the young Emirati has had a busy trip. She has also visited the historic launchpad where Apollo 11 took off for the Moon, met Chris Ferguson, the commander of the last Space Shuttle mission and has been inside the Boeing workshops where the next generation of spaceships are being built. It comes after the aspiring astronaut was received by Sheikh Mohammed bin Zayed, Crown Prince of Abu Dhabi back in February, after winning the competition. The Genes in Space UAE competition challenges school pupils to design experiments to be conducted in space.